Our beautiful little Oliver turned one last week. I'm still in a bit of shock that he reached this milestone already. In honor of his special day, we invited a few friends over for a Sunday morning brunch. 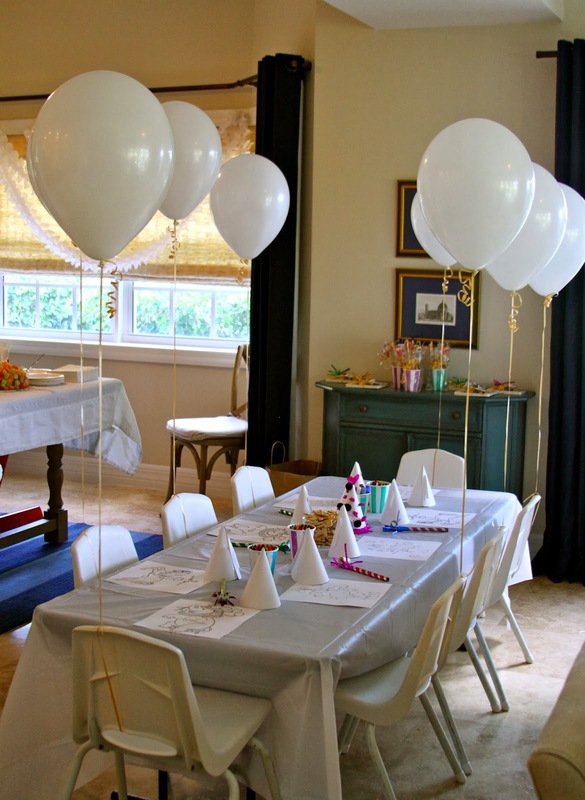 I decided to keep the decorations simple with white balloons and streamers to reflect Oliver's soft, laid-back nature. 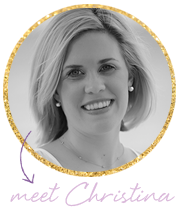 And chose to accent with gold to add that little sparkle that we see in Oliver's eyes when he smiles. The mommy's and daddy's sipped on Mimosas and the children filled their tummy's with pancakes and sweets. It was a wonderful morning and thank you to our dear friends who joined us to celebrate Oliver's first birthday! 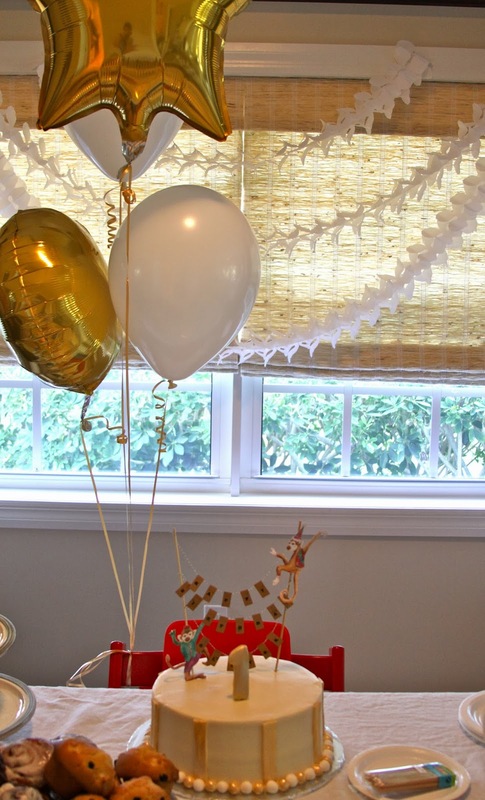 The adorable monkeys and clown faces you see on the cake banner and party favors were downloaded from Sweet Paul Magazine. A wonderful source of inspiration for your future celebrations. If you're anything like me, you feel it is absolutely acceptable to buy yourself presents for holidays! And Valentine's Day is no exception of course. It is the holiday of love after all. So this Valentine's day treat yourself to something special. 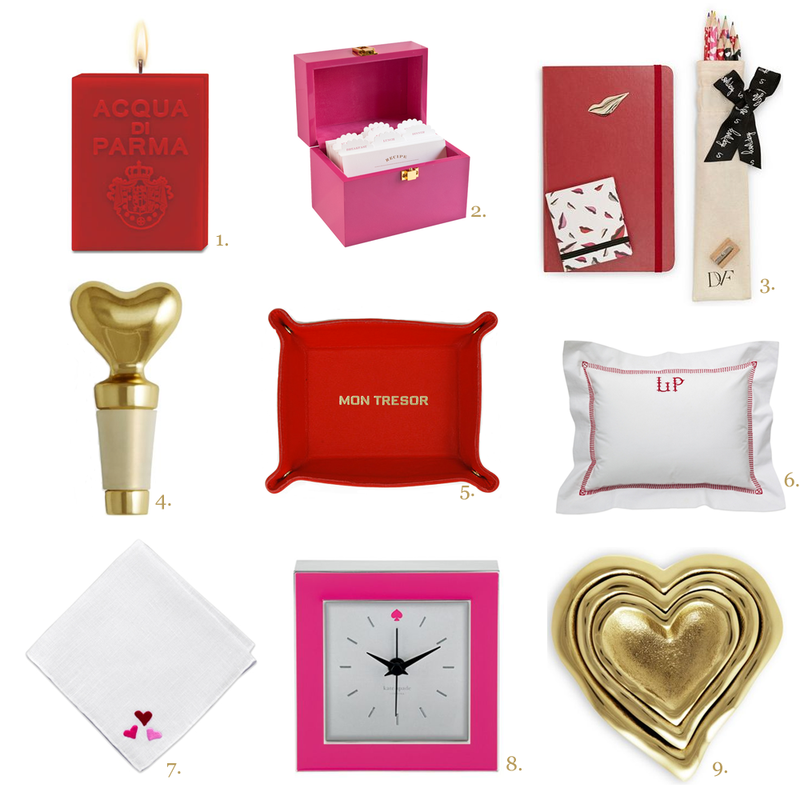 Here are a few LOVEly ideas! Happy first birthday to my baby boy Oliver. Your loving nature and beautiful smile have filled my life with joy. I love you. To me, nothing is more glamorous in a home than a fabulous wet bar. I find these often small spaces can have a huge impact if treated thoughtfully. 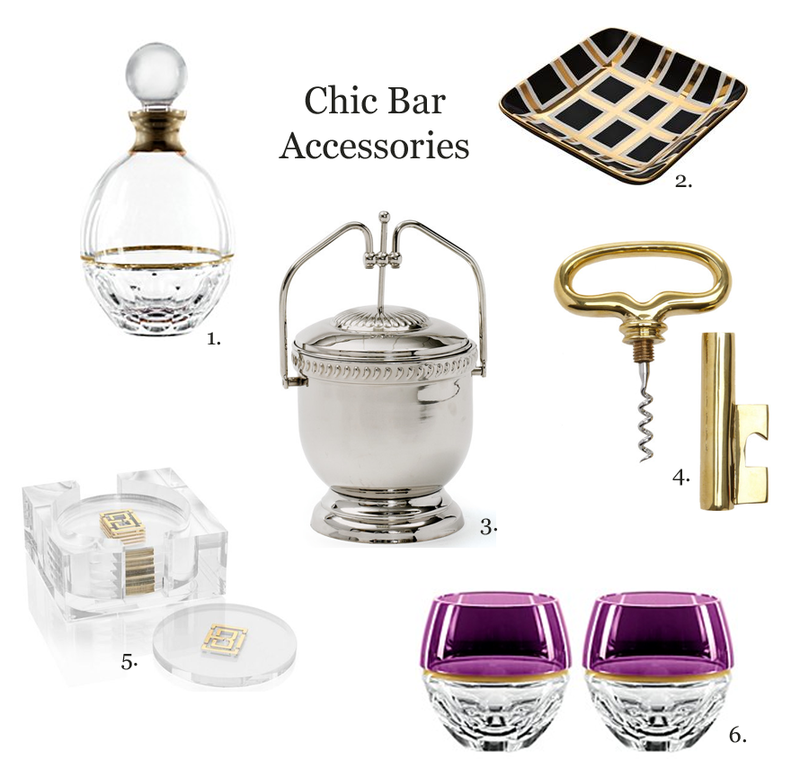 I've put together a collection of chic bar accessories that can add style and glamour to any home. I hope to add a few of these items to my collection for entertaining this year. In a previous FOR THE LOVE OF COLOR post I talked about my love of Emerald Green. As much as I love emerald green, I don't have the same strong feelings for other shades of green like I do for the rich jewel tone emerald. One color that I do love in all its various shades and intensities is blue. I'm not alone with this. 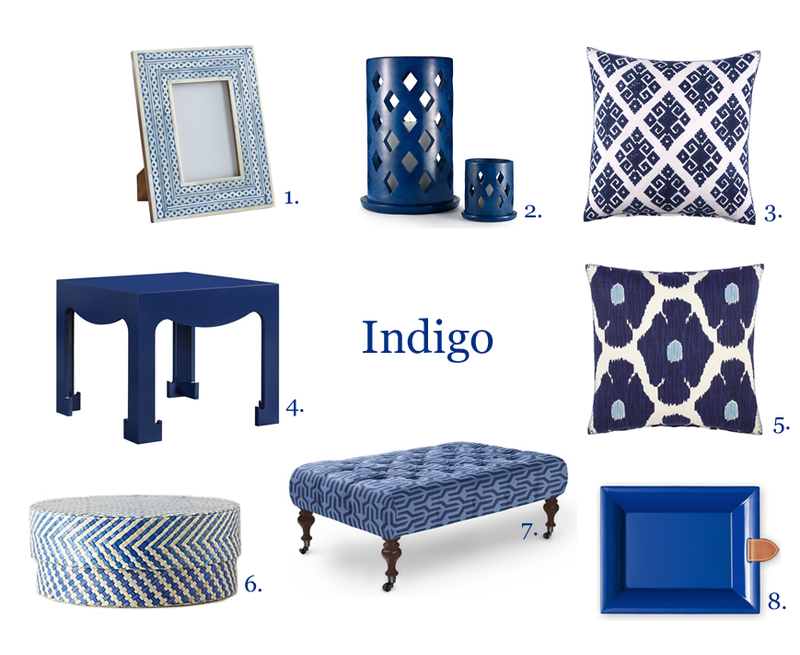 Blue is overwhelmingly considered the most favorable color of both men and women. 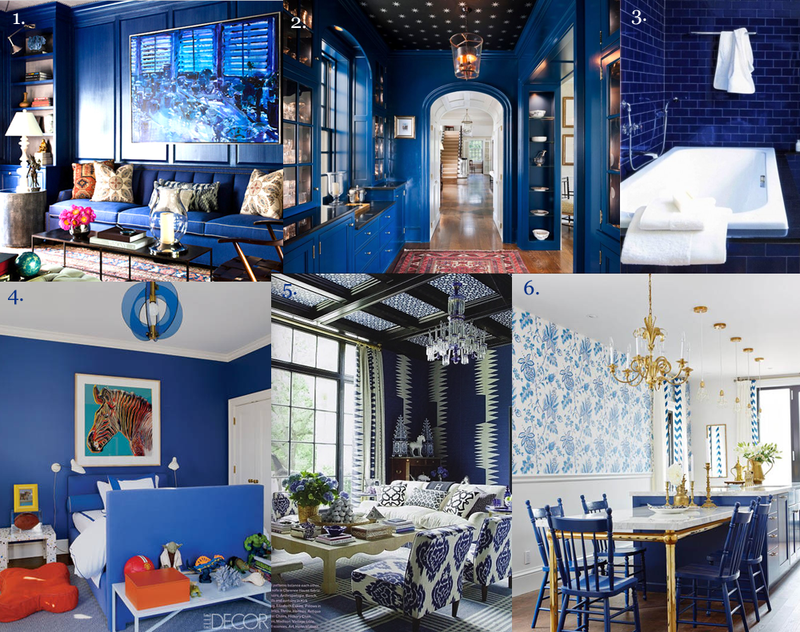 When I imagine how I would decorate my dream house (as I often do), I always envision shades of blue used throughout the rooms. I find it to be a soothing and serene color that is both masculine and feminine. And being that I live in a house with 3 boys, I need to consider all of us when choosing colors. I'm currently decorating with lots of blue in our home here in Cayman and I don't think I will tire of it very easily if ever.